In recent years Rolex has made a big switch on its sport watches from traditional stainless steel bezels to those made of ceramic. The GMT-Master II was the first watch to receive the ceramic bezel followed by the Submariner type watches and the DeepSea Sea Dweller. Many people were shocked by the switch and there are plenty of proponents for both types of bezels. However, we at Bob’s Watches think that Rolex has made the perfect choice in switching to ceramic bezels and we’ll outline why below. 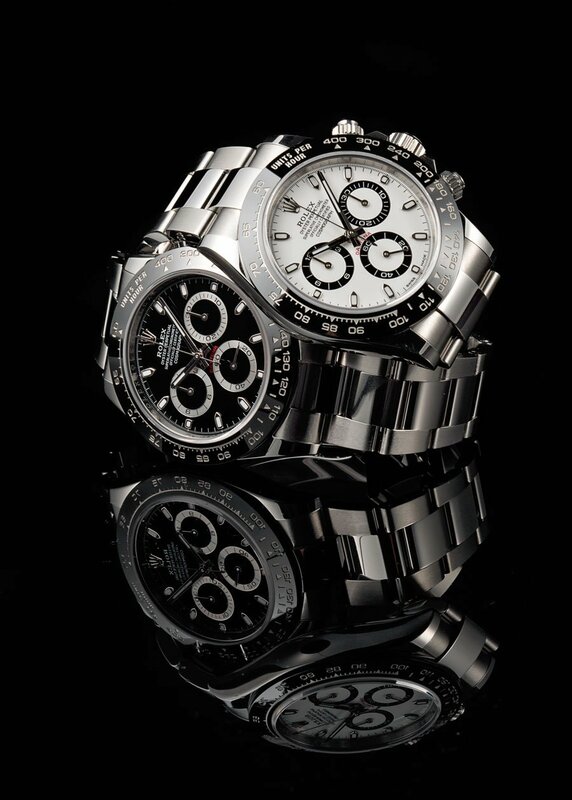 There are many types of bezels, the latest Daytona models hold a ceramic bezel. Models like the new Rolex Daytona 116500 are equiped with ceramic bezels that are extremely durable. They are scratch resistant and “nearly indestructible” according to Rolex. Rolex has stated that they mainly made the switch because of the longevity of these bezels. One of the hallmarks of Rolex watch is how long it lasts so these new bezels add a new dimension. In addition to durability and longevity these bezels are quite nice to look at. They have a distinctive shine that, for many, blows away the traditional old bezels. However, like anything else, these bezels aren’t without disadvantages. For one they are much more expensive to replace than traditional bezels. Although this is offset by their longevity. In addition, there are many stories of ceramic bezels shattering due to a strong force being applied to them (dropping the watch or hitting it against something). Nonetheless, these cases are rare and the bezels are generally very strong. In addition, many people prefer the look of the traditional bezel for a variety of reasons and the popular “Pepsi” and “Coke” GMT bezels are not yet available in ceramic and may never be. In conclusion, from a quality standpoint Rolex definitely made the right choice in switching to ceramic bezels for its sport watches. The new bezels are stronger, more scratch resistant, and last longer than the older bezels which more than offsets the added cost. Which bezel is more visually attractive is a matter of opinion, but we personally prefer the clean look of the ceramic bezel. Rolex Daytona ref. 116520 has a steel bezel, very different from the ceramic bezels. A Bevy of Rolex Bezels: Ceramic, Aluminum, or Stainless Steel? 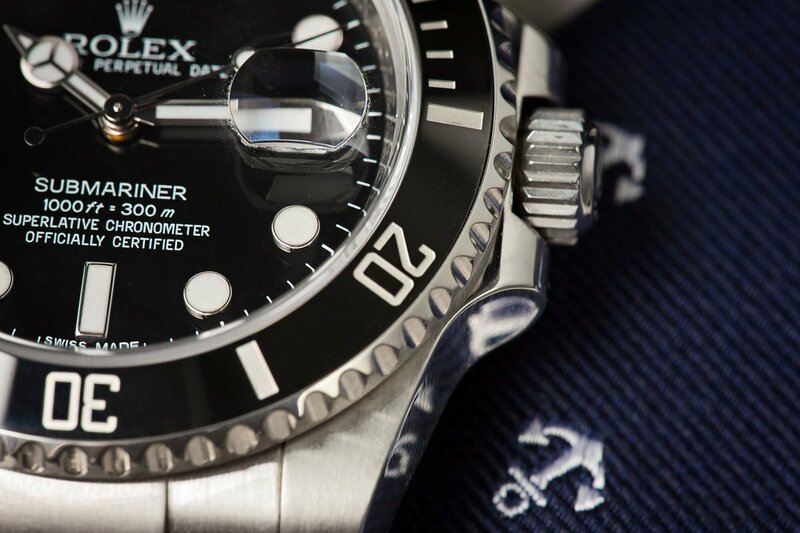 When opting for a Rolex sports watch, whether vintage or contemporary, there are a variety of options to choose from. These can include metal choices, dial designs, bracelet selections, and bezel alternatives. 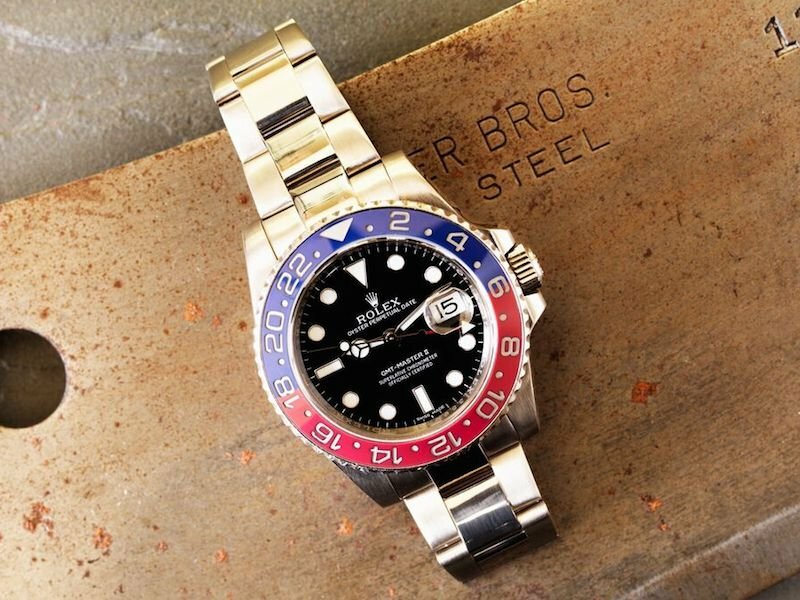 Among the bezel options, three of the most predominate materials found on Rolex sports watches include ceramic, aluminum, and stainless steel. Here we examine the three types of distinct bezel varieties and the pros and cons they offer. The Submariner also displays a ceramic bezel. Over a decade ago, Rolex patented a type of ceramic alloy and named it “Cerachrom” where “cera” is from the word “ceramic” and “chrom” is from the Latin word for “color.” The new material made its debut on an 18k yellow gold GMT-Master II model in 2005 in the form of a black bezel. And that particular GMT-Master II model, ref. 16718LN, paved the way for future ceramic bezel watches from Rolex. Today, the Cerachrom ceramic bezel can be found on several Rolex tool watches including other GMT-Master models, Submariners, Yacht-Masters, and Daytonas. Plus, the Cerachrom bezel is no longer exclusive to a singular color, but it’s also available in a bi-color option as seen on the ref. 116719BLRO’s red and blue bezel and the ref. 116710BLNR’s black and blue bezel. At Baselworld 2016, Rolex introduced the most coveted watch of the year: a stainless steel Daytona with a black ceramic bezel. The Daytona collection already had ceramic options, but as they were housed on a platinum or gold models, they’re out of reach for many. The ref. 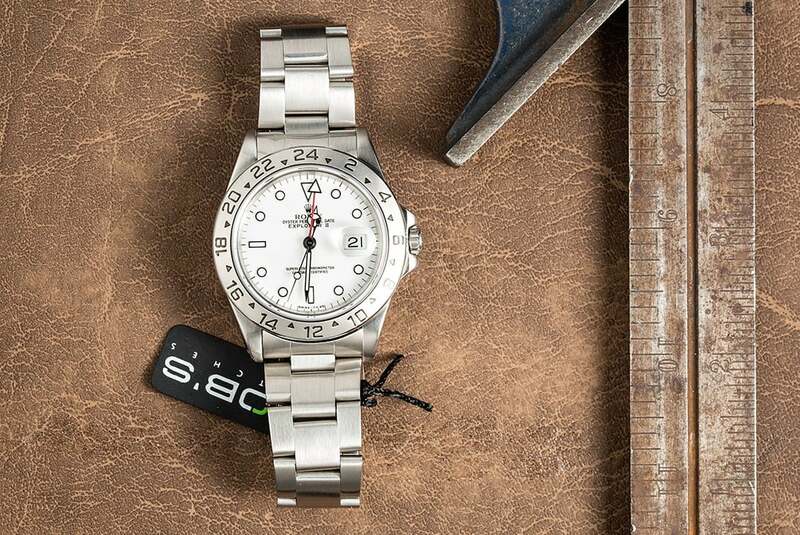 stainless steel 116500LN was an instant hit with years-long waitlists already established at Rolex dealerships around the world. The advantages of Cerachrom ceramic include its resistance to scratching and fading — thus, the bezel should essentially remain the same a couple of decades down the line. 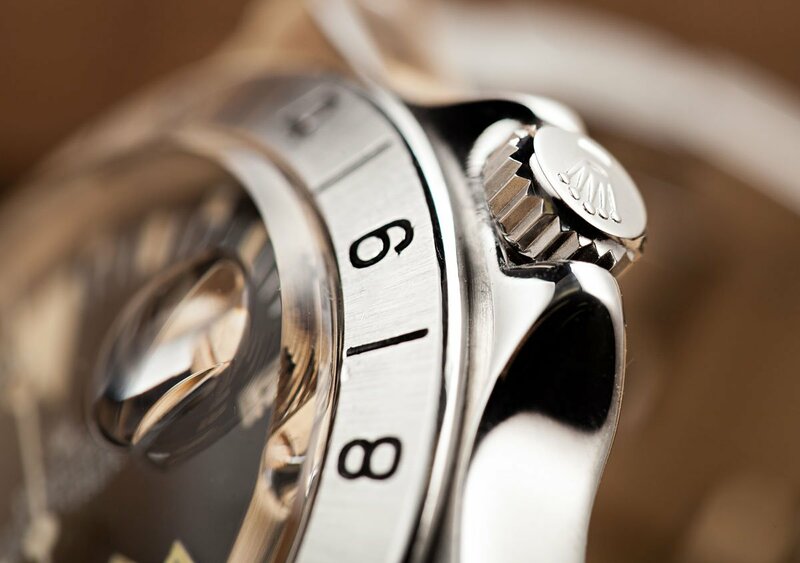 The material is also prized for its look adding a distinct shine to the Rolex. On the other hand, Cerachrom does have its disadvantages too. For instance, it’s a brittle material, therefore, prone to shattering. Plus, it’s significantly pricier than aluminum bezel inserts, so if the ceramic bezel does incur some damage, it would be much more expensive to replace. Aluminum bezels can be found on vintage models. In the mid-1950s, Rolex replaced their Bakelite bezels with aluminum ones. The aluminum bezels were less likely to crack than Bakelite, but they did have a tendency to fade with long exposure to the sun. 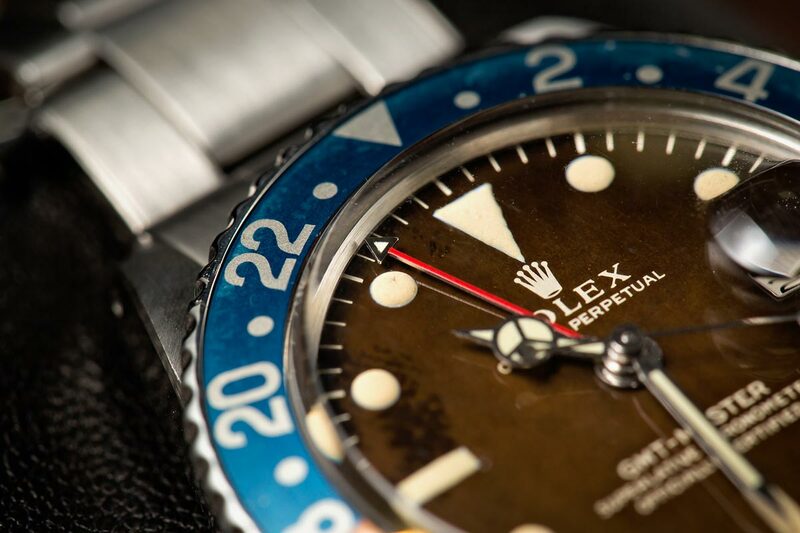 This is why on vintage Rolex GMT-Masters, vintage Rolex Submariners, and vintage Rolex Daytonas, some of the original aluminum bezels show discoloration. However, rather than lowering the value of vintage models, the change of color is actually a feature cherished by many vintage Rolex collectors. As mentioned, Rolex has replaced the aluminum bezels with Cerachrom ceramic ones, so fans of the older aluminum bezel inserts have to look to vintage or pre-owned Rolex models to get their hands on one. The main advantages of the aluminum bezel inserts are the availability and price. It’s relatively easy and inexpensive to replace aluminum inserts on Rolex watches. Stainless Steel has also been a popular choice in the past. While GMT-Master, Submariner, Sea-Dweller, and Yacht-Master models now exclusively come equipped with ceramic bezels, some Rolex collections are outfitted with stainless steel bezels. For example, the Explorer II has a fixed 24-hour marked bezel, while the new Air-King is topped with a smooth domed stainless steel bezel. Also, it’s worth noting that throughout the history of the Rolex Daytona, until just this year, there was the option of stainless steel bezels. Today however, since the stainless steel option has been switched out for ceramic bezels on the Daytona, the only metal bezels currently available from Rolex are gold ones on the two-tone or full gold Daytona models. To find older Daytona chronographs with steel bezels, the pre-owned or vintage market is the best bet. Since there’s no contrast between the watch case and bezel, a stainless steel bezel atop a stainless steel case offers a more streamlined look. Stainless steel is also robust and won’t shatter like other materials, however, it is susceptible to scratching. Some Rolex wearers actually enjoy those scratches on their watches as they suggest a life well lived for their beloved Rolexes. 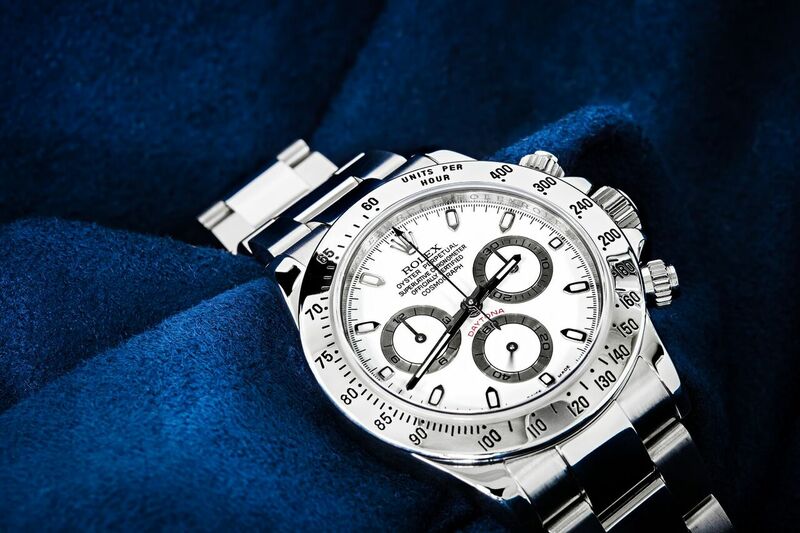 So while Rolex s moving forward swiftly with arming their sports watches with ceramic bezels, the aluminum and stainless steel options are still very much valued and sought after by fans of the brand. Each material has its own pros and cons and the bottom line is to pick one that is both aesthetically pleasing to you and practical to maintain. Download Our Free Guide on How To Spot A Fake Rolex.